Looking for free TalkToMeInKorean.com (TTMIK) grammar lessons ebooks? Too lazy to download them one by one on the website? Well, keep reading then. 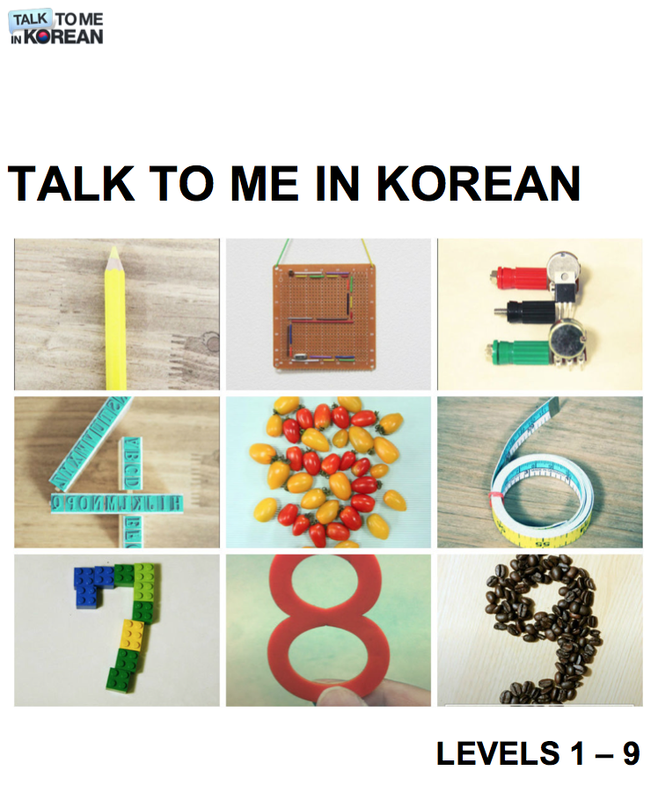 There is no such other place like TTMIK online website for learning Korean in my opinion: a neatly designed website run by enthusiastic Korean teachers willing to share their knowledge of their first language through appealing lessons and subjects, ranging from basic grammar to regional dialects. Most of the content is delivered for free, which I find totally amazing. Yet, financial support may be provided by sponsoring the TTMIK teachers (i.e. payment on a regular basis, by subscription), by applying to their private 1:1 lessons or journal writing program, or by buying their books, ebooks or audiobooks. You are strongly encouraged to purchase the grammar lessons ebooks at the TTMIK online store directly. The content of this ebook, which was provided by TTMIK authors (no modification made), is licensed and protected under a Creative Commons Attribution-NonCommercial-NoDerivs 3.0 Unported License. Any use other than as authorized under this license is PROHIBITED. omg thankyou so much!! I was just about to download al the pdf's induvidually!! Would have taken me years!! Hey ^^ Je crois que j'avais déjà découvert Talk to me in korean, il est vraiment super méga intéressant. Wow thank you so much for sharing ! Thank you very much for the pdf! Thank you very much! It really does save me a lot of time! Thank you so much! I am on Level8 atm and has always struggled with separate pdfs:) This would come so handy. hi!! does anybody know the password theyre asking for to download? It's just written in my post above. Hi Klerelo. I just couldn't find the button. I don't know how to download it but I badly want it. Please help. Je t'aime ma baguette or whatever you say in French! Awesome! I feel so stupid, but can someone tell me where the download button is? >o<! is there any all mp3 tutorials too? thank you so so so sooooooo much!!! may god bless your soul!!!! Amazing! Thank you so much!!!! Amazing! Thank you so much!!!! ㄱㅅㄱㅅㄱㅅ! Thank you so much, I just started learning Korean and this will help me a lot study Korean. I appreciate! Hi Klerelo, thanks a lot for sharing this pdf with us. Do you have the mp3 file of the lessons? omg i love you! thanks!!! Thank you so much, I really needed these books but didn't have any money for purchasing them T-T you're a live savior! I can't download it.. how?? Go to almost the end of the page there should be a box over the download button write the password (Klerelo) and click on download. once you open the download page copy and paste the password provided above and click on "Télécharger le fichier"
Amigo muchas gracias. Eres el mejor! 2. Pega la contraseña donde dice "La descarga de este archivo está protegido por contraseña"
3. Clickeas sobre "Descargar el fichero"
Wow thank you sooo much for this!!! god bless you .. thank you very much! Hello umm it appears that my computer and my phone and my tablet don't want to download it for some reason. And I tried doing it like fifty times. I put in the password and click the french download, but sadly *crying face* it didn't work. I was wondering if perhaps you could email it with me or share to me. If you could I would be over the top grateful. My email is raisinsdang@gmail.com or ac802910@gmail.com lol please don't laugh at the first one that was my first email address and well I kept it. Well goodnight and I hope someone can help me with this problem I'm having. click on the link in Klerelo post and then click on the blue button "Télécharger le fichier"
Klerelo, Hi! I couldn't find the download page nor the button you were talking about. Please help. I badly want it. omg thank you so much you deserve an award for doing such kindness. bless you! Thank you so much.. It helps me a lot.. Thanks a lot for this!! Ive had really founded it for so many time. really really thanks!! Merci beaucoup pour le lien et ce regroupement de PDF !! Très pratique. Est ce que vous allez faire le reste des leçons 9 à "??" ? Thank you so much, you're the best!! Do you also have yhe workbooks?